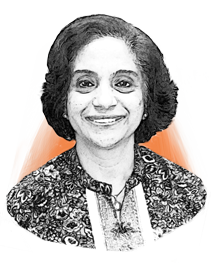 Pharma's Almanac | Sushma Ogram, Ph.D.
Dr. Sushma Ogram has over 25 years working with RNA and DNA viruses and has been an integral part of Brammer Bio in developing assays and methods for viral vector analytics. Dr. Ogram received her Ph.D. in microbiology with a concentration in molecular virology from the University of Tennessee, Knoxville and obtained her Masters in microbiology from M.S. University of Baroda, India.